Michelle Lee has been a part of the Ponthieux's family for three years and has become the designated pearl knotter! 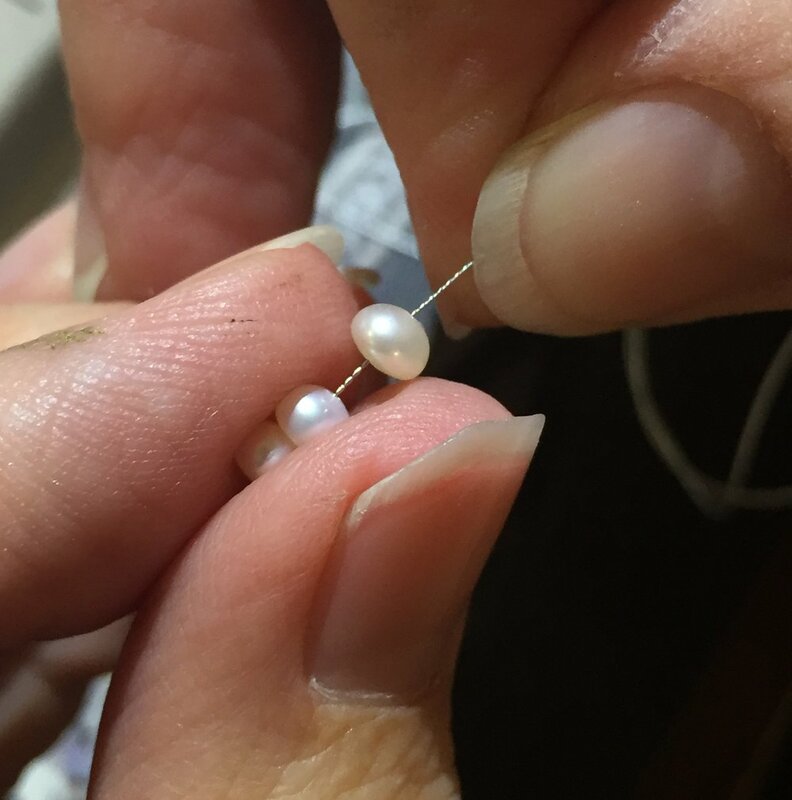 In addition to her outstanding pearl-knotting skills, Michelle designs and assembles a number of the beaded items in our retail shop and assists customers. Her favorite part about working at Ponthieux's Jewelry Design Studio is being involved in the creative design process-- from the start of a sketch to the finishing touches of a custom piece.